The Dell EqualLogic PS400E storage array is a 10.5TB – 28TB system with 14x 750GB, 1TB, or 2TB SATA drives in a 3U enclosure. Whether you’re looking for parts or a complete EqualLogic storage system, we have what you need. If you don’t see the part listed that you’re looking for, please use our Contact Us form; as we have many parts in inventory that are not listed. Please note that all Dell EqualLogic storage arrays, systems and parts are used / refurbished, and backed by a 60 day warranty. 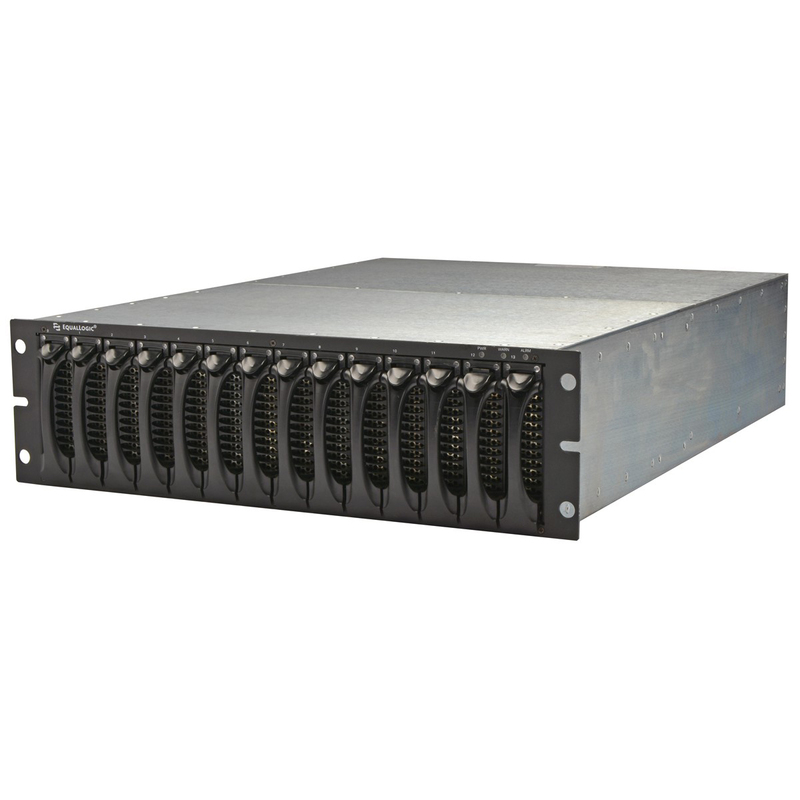 The PS400E iSCSI SAN is a complete system configured with dual controllers, dual power supplies, dual fans, a universal rail kit, and power cords. The Dell EqualLogic PS400E array is ideal for virtualization and business applications where capacity, performance and low cost are all equally important. The PS400E, ideal for small-to-medium iSCSI protocols, provides outstanding value with a low TCO, improved chassis design, more memory, advanced data protection and a high performance option. The series is built on advanced peer storage architecture and features perpetual self-optimization with automated load balancing across disks, RAID sets, connections cache and controllers. Whether you need to improve productivity, performance and capacity or streamline your IT infrastructure with unified block and file storage, the Dell EqualLogic PS400E delivers powerful, intelligent and simplified management with enterprise scalability — and without the need for fork-lift upgrades. Enhance the value of your small data center or remote office and meet constantly changing workloads with the Dell EqualLogic PS400E storage array. EqualLogic makes data storage systems that radically simplify the way mid-size and large businesses store and protect information. EqualLogic’s award-winning PS Series storage area network (SAN) solution provides sophisticated management capabilities that reduce the time and money IT staff spend on storage. 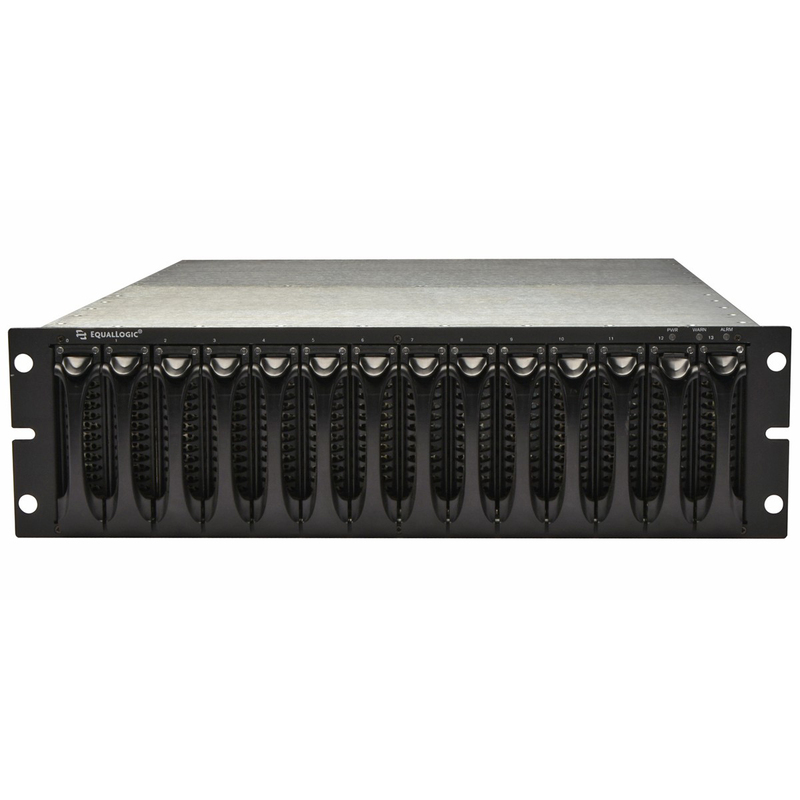 The EqualLogic PS400E can be configured with either a single controller, or dual redundant controllers. The single controller configuration will provide the same level of I/O performance as a dual controller configuration. The dual controller configuration provides for redundancy. Redundant controllers will prevent volume connections between hosts and SAN from being dropped in the event of an active controller failure.